The weather is freezing, and having to leave the house seems more and more like stepping into Antarctica these days. Most of us don’t have a heater the size of Texas, so we’ll have to settle for something else. 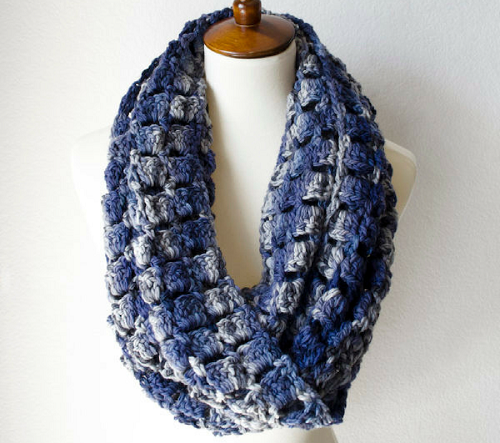 How about a cozy, warm crochet scarf? I figured you might be spending more time indoors with these low temps, so I put together something to keep you company. A list of free crochet patterns. All the crochet scarf patterns your neck is dreaming of when you leave the warmth of your house. In one convenient place. If you want to learn how to crochet a scarf, now is the time to do it. Protect yourself from the polar vortex that is your life right now, and grab your hook. There are a ton of easy crochet patterns you can stitch up just in time for that next trip to the grocery store. It’s fine to visit the frozen foods aisle but you don’t want to become a part of it. These crochet patterns will help. 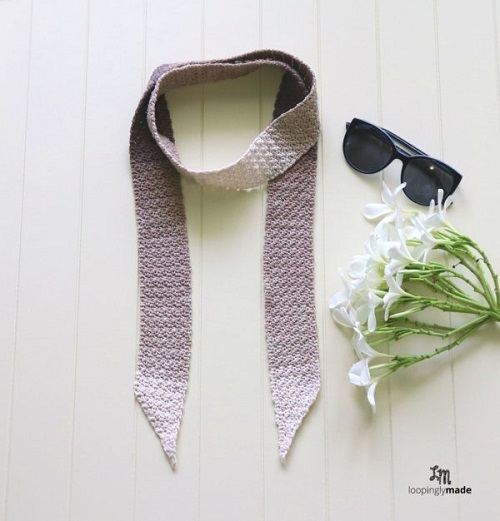 This crochet scarf pattern is all about subtle details that look polished and distinguished. It’s worked using the detailed ribbed stitch for added texture. Simple patterns like this one are always fun and fast to work up. The Striped Neck Scarf is so chic and will have you daydreaming of French countrysides. This cute pattern is easy to bring to life, even for beginners. 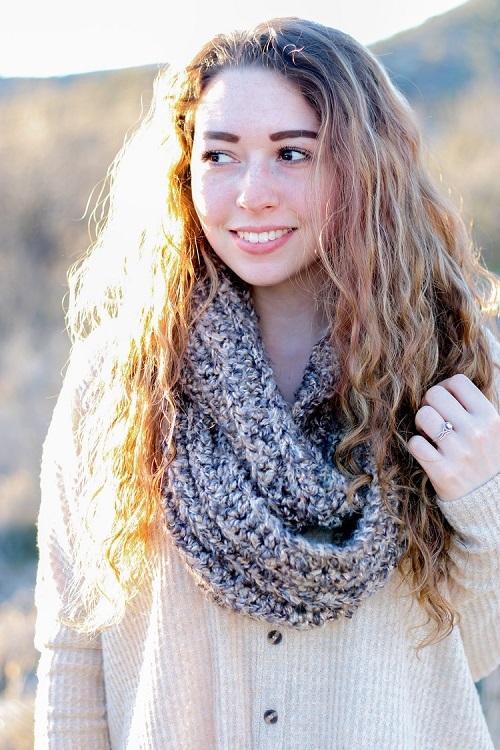 If you want an easy crochet scarf that can double as a hair accessory, this is perfect. This simple pattern is easy to make and looks great with just about any outfit that needs an extra touch. The crochet infinity scarf is soft and elegant, just the beautiful addition your closet’s been missing. 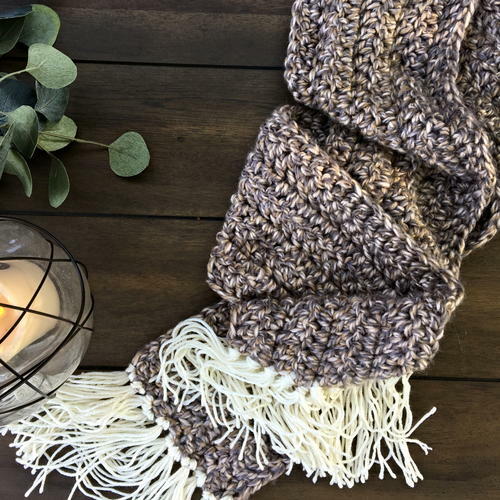 This crochet scarf is worked quickly using a super bulky weight (6) yarn and a 10mm hook, you’ll have it done in no time! This scarf crochet pattern can easily be adjusted to be as a thick or thin as you’d like. 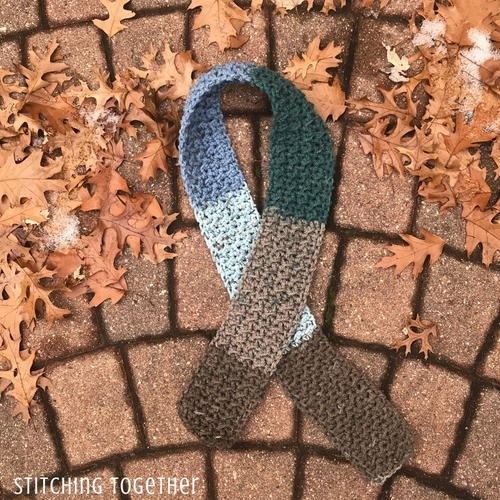 I love the look of this easy crochet scarf due to the softness of the ripples: this is achieved by using half double crochet instead of the traditional single crochet. 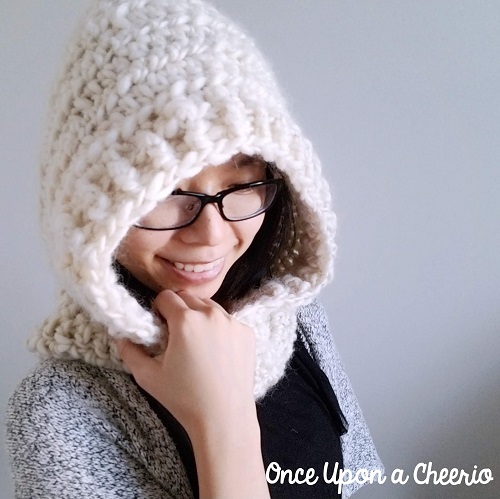 This hooded scarf crochet pattern does not require any sewing. Not only that but when this crochet pattern is made with 100 percent wool, it provides absolutely the warmest piece of headwear. 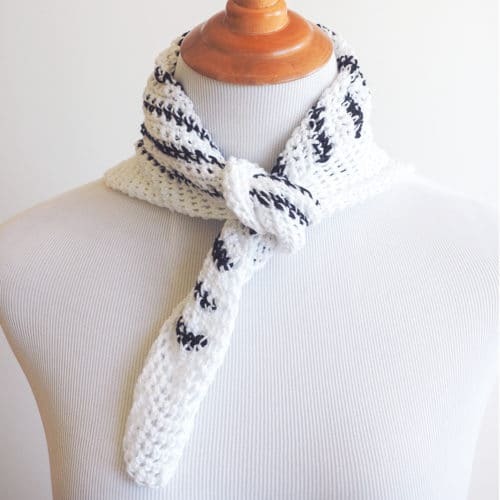 If you want to know how to make a scarf and are feeling adventurous, try out this pattern. You’ll love this quick and textured chunky scarf pattern perfect for boys or girls. This crochet pattern features the crunch stitch which makes a lovely thick and comfy fabric. This makes crocheting for beginners fun and rewarding. This cute and easy crochet triangle scarf with fringe will add a fun Boho flair to your wardrobe! 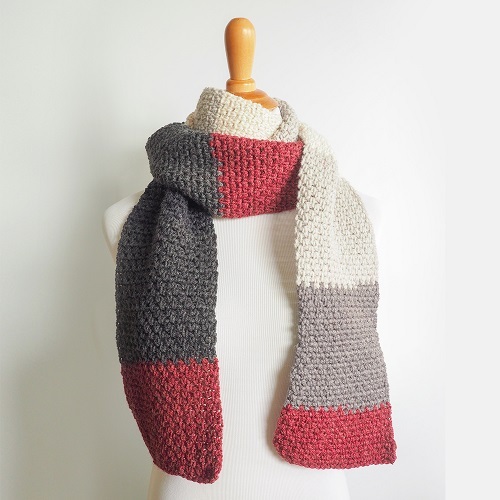 Even a beginner could make this scarf, as you’ll only need to know how to double crochet. This crochet scarf pattern works length-wise, rather than along the width, to create a scarf with beautiful long lines and rich texture! It is super easy (using only double crochet), so it is great to learn how to crochet for beginners and it is quick to work up using size 5 yarn and a P hook. 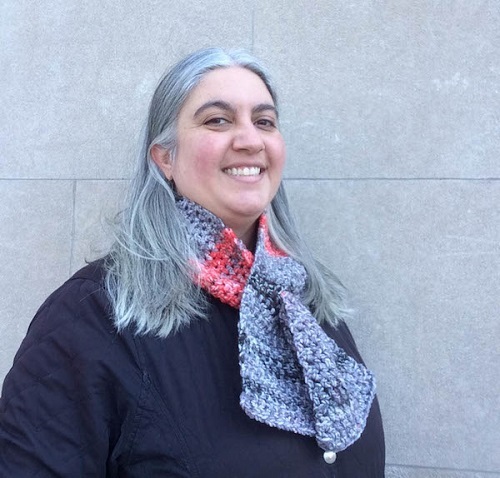 Learn how to crochet the Fayre long scarf. The stitch definition gives this scarf the warmth and beauty we all desire in a handmade item. You’ll have a blast crocheting this detailed piece. 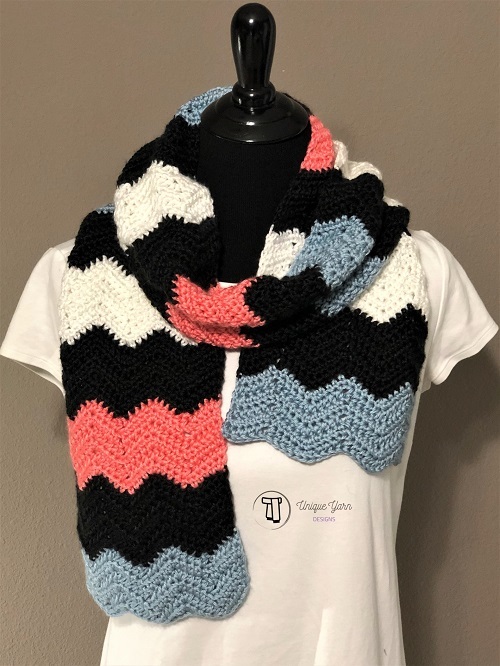 Out of all the free crochet scarf patterns out there, this one is really well done. 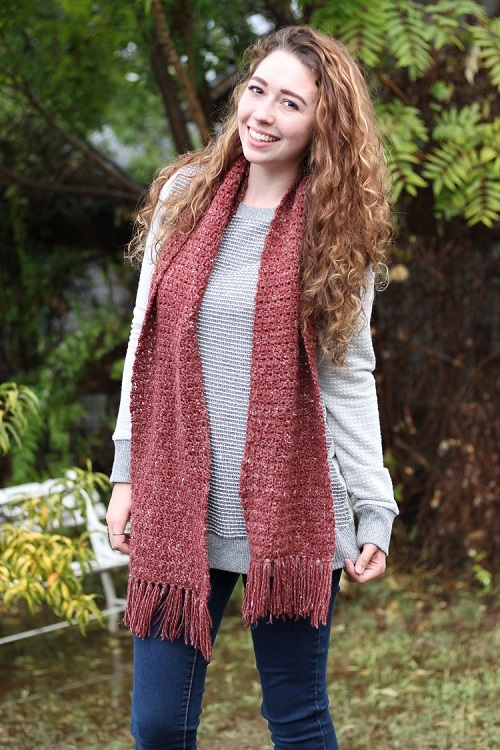 The Mocha Skinny Scarf is a simple pattern you will love making. Not only is the skinny scarf a chic accessory to have in your closet, it is light, easy to carry around and versatile in style – wear it in as many ways as you please. It’s worth learning how to crochet a scarf. Work up this easy crochet keyhole scarf quickly with a simple, beginner-friendly stitch pattern. 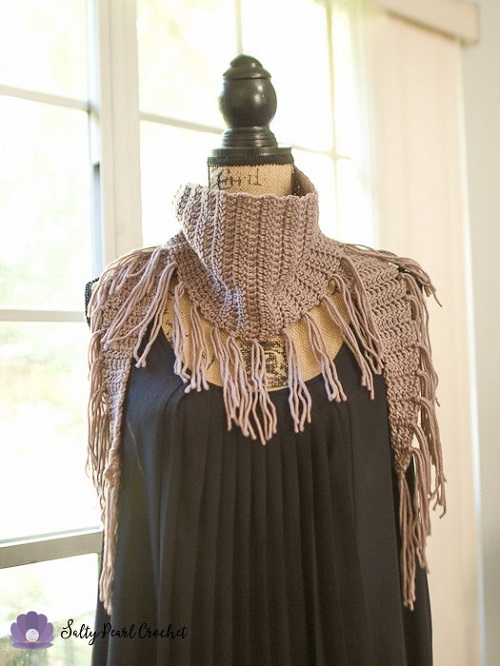 It’s the perfect crochet scarf pattern to wear in transitional weather. I love that you can never run out of crochet patterns in this craft. Wherever you turn, there’s a new and exciting set of free crochet patterns. Whether it’s a cute pattern or an easy crochet scarf, there’s always something new to try. I hope within this list, you will find a bunch of crochet scarf patterns that inspire creativity and excitement in you. I know they spark my creativity! Pick your favorite and start making!